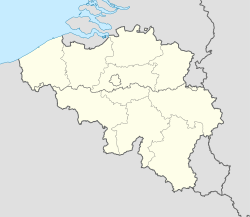 Somme-Leuze (French pronunciation: ​[sɔm.løz] ; Walloon: Some-Leuze) is a Walloon municipality and village in the Belgian province of Namur. On 1 January 2006 the municipality had 4,656 inhabitants. The total area is 95.09 km², giving a population density of 49 inhabitants per km². This page was last edited on 30 August 2017, at 02:03 (UTC).